In 1950, Mexican American miners went on strike for fair working conditions in Hanover, New Mexico. When an injunction prohibited miners from picketing, their wives took over the picket lines - an unprecedented act that disrupted mining families but ultimately ensured the strikers' victory in 1952. In "On Strike and on Film", Ellen Baker examines the building of a leftist union that linked class justice to ethnic equality. She shows how women's participation in union activities paved the way for their taking over the picket lines and thereby forcing their husbands, and the union, to face troubling questions about gender equality. Baker also explores the collaboration between mining families and blacklisted Hollywood filmmakers that resulted in the controversial 1954 film "Salt of the Earth". She shows how this worker-artist alliance gave the mining families a unique chance to clarify the meanings of the strike in their own lives and allowed the filmmakers to create a progressive alternative to Hollywood productions. 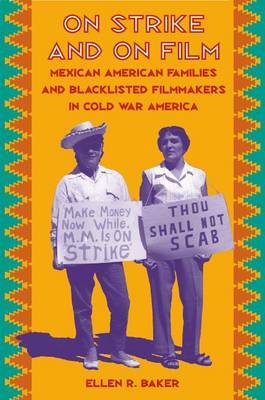 An inspiring story of working-class solidarity, Mexican American dignity, and women's liberation, "Salt of the Earth" was itself blacklisted by powerful anticommunists, yet the movie has endured as a vital contribution to American cinema.